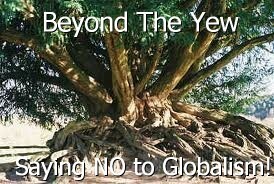 29 | December | 2011 | Beyond The Yew : Saying NO to Zionism! Iran’s navy chief warned earlier Wednesday that the Islamic Republic was ready and willing to close the strategic waterway if the West imposes news sanctions targeting Tehran’s oil exports over the country’s suspect nuclear program. “Anyone who threatens to disrupt freedom of navigation in an international strait is clearly outside the community of nations; any disruption will not be tolerated,” said Fleet spokeswoman Lt. Rebecca Rebarich. It was the second such warning in two days. On Tuesday, Vice President Mohamed Reza Rahimi threatened to close the strait, cutting off oil exports, if the West imposes sanctions on Iran’s oil shipments. The threats underline Iranian concern that the West is about to impose new sanctions that could target Tehran’s vital oil industry and exports. The bill could impose penalties on foreign firms that do business with Iran’s central bank. European and Asian nations import Iranian oil and use its central bank for the transactions. Iran is the world’s fourth-largest oil producer, with an output of about 4 million barrels of oil a day. It relies on oil exports for about 80 percent of its public revenues. Iran has adopted an aggressive military posture in recent months in response to increasing threats from the U.S. and Israel that they may take military action to stop Iran’s nuclear program. Iran’s navy claims it has sonar-evading submarines designed for shallow waters of the Persian Gulf, enabling it to hit passing enemy vessels. Iran claimed a victory this month when it captured an American surveillance drone almost intact. It went public with its possession of the RQ-170 Sentinel to trumpet the downing as a feat of Iran’s military in a complicated technological and intelligence battle with the U.S.
U.S. military indicates it will not allow Tehran to close off Strait of Hormuz, after Tehran threatens to do so in case of western sanctions on its oil sector. The United States is in no position to advise Iran against cutting global oil supply in case of sanctions against its petroleum industry, a top Iranian commander said on Thursday. The comment by deputy chief of the Iranian Revolutionary Guard Hossein Salami came after the U.S. Fifth Fleet said on Wednesday it will not allow any disruption of traffic in the Strait of Hormuz, a crucial waterway in the distribution of worldwide oil supply. “The free flow of goods and services through the Strait of Hormuz is vital to regional and global prosperity,” said in a written response to queries from Reuters about the possibility of Iran trying to close the Strait. According to the Press TV report, the senior Iranian military official indicated that the U.S. was not in a position to give Iran permission to close the strategic waterway, adding that U.S. pressure had failed to prevent Iranian action on other issues in the past. The U.S. navy’s comments on Wednesday came a day after Iran’s first vice-president warned on Tuesday that the flow of crude will be stopped from the crucial Strait of Hormuz in the Gulf if foreign sanctions are imposed on its oil exports, the country’s official news agency reported. “If they (the West) impose sanctions on Iran’s oil exports, then even one drop of oil cannot flow from the Strait of Hormuz,” IRNA quoted Mohammad Reza Rahimi as saying. About a third of all sea-borne oil was shipped through the Strait in 2009, according to the U.S. Energy Information Administration (EIA), and U.S. warships patrol the area to ensure safe passage. Tensions over Iran’s nuclear program have increased since the International Atomic Energy Agency (IAEA) reported on Nov. 8 that Tehran appears to have worked on designing a nuclear bomb and may still be pursuing research to that end. Iran strongly denies this and says it is developing nuclear energy for peaceful purposes. Iran has warned it will respond to any attack by hitting Israel and U.S. interests in the Gulf, and analysts say one way to retaliate would be to close the Strait of Hormuz. Most of the crude exported from Saudi Arabia, Iran, the United Arab Emirates, Kuwait and Iraq – together with nearly all the liquefied natural gas from lead exporter Qatar – must slip through a 4-mile (6.4 km) wide shipping channel between Oman and Iran.